From the Winner of the Scholastic Montegrappa Prize for New Children’s Writing It’s Halloween at Saint Smithen’s. When the Brimwell town hall burns down, the amateur production of Macbeth is moved to the school and it’s all hands on deck. But when the play is struck by a series of mysterious attacks, it’s up to Poppy, her friends and her circus family to save the play and unmask the culprit. My initial thoughts of the book were, another mystery in Poppy’s first year at Saint Smithen’s School; this must be a busy year for Poppy! Poppy might want to take everything into her own hands but she still lets her friends have their own way from time to time, because she is their best friend, and listens to their ideas, even if they aren’t good ones in the end. My favourite character is still Poppy Pym because she is adventurous and will carry on with the mystery, even if it leads to a dead end after a nice try- she never gives up. I always seem to like the main character because most authors make the main character very likeable. The main character, in this case Poppy Pym, is always in the story, wherever it goes. I would recommend this book to anyone who likes mysteries and enjoys it, from ages 9 up, it is a bit scary so don’t read in the dark if you get scared easily (they mention it in the book). Verdict: It’s Halloween at Saint Smithen’s and the village is putting on a play, but after a terrible fire and terrible incidents everyone believes the play’s jinxed. A wonderful yet mysterious story. Told in alternating points of view by Nina LaCour and David Levithan, the best-selling author of Every Day and co-author of Nick and Norah’s Infinite Playlist (with Rachel Cohn) and Will Grayson, Will Grayson (with John Green), You Know Me Well is a deeply honest story about navigating the joys and heartaches of first love, one truth at a time. You Know Me Well was the perfect start to this week long LGBTQIA read-a-thon. Not only does it contain a diverse cast of characters from across the LGBTQIA community, all of the action in this zippy little read takes place over Pride week. 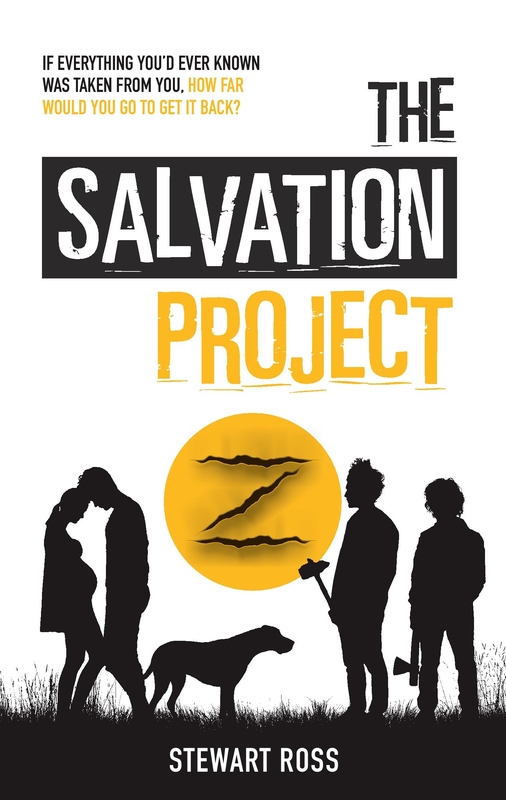 While the book alludes to some serious themes and introduces the characters at povital moments in their young adult lives, overall the book felt fresh and light and I was happy to be sweep up within its pages. I loved the premise that someone on the outskirts of your social circle, essentially a stranger, can at the right moment in time be exactly the person you need in your life. There were some elements of this book that under different circumstances I would find frustrating (and possibly even eye rolling)- “insta” love, rapidly resolved dilemmas and heartbreak recovery- however, as supporting elements to what was Kate and Mark’s falling in to friendship story, they simply added to the intensity created by the bubble of Pride week and the rapidly dissolving school year. Despite me starting this review stating that it was essentially a light summer read, there were some moments that really resonated with me and made me pause. As an adult who reads YA I could really relate to the sentiments expressed about why the adults in the story were so fascinated by the protagonists life experiences. The limitless possibilities of youth and their wrestling with the huge decisions which focus and reduce those choices further is one of the reasons I gravitate toward young adult fiction- the absence of the daily grind, bill paying and the cynicism are some of the other reasons. Twenty years down the road, I still remember those feelings of pressure, excitement and fear, of being on the precipice and having to make what felt like irrevocable, life defining choices. I loved the inclusion of expression and art in many forms from music, clothing, painting and photography, through to a poetry slam which was simultaneously the most educational, eye opening and moving part of the entire book. I will definitely be checking out the authors other works. Verdict: Fast paced platonic love story. In a post-apocalyptic world where no-one lives beyond their teenage years, the mysterious Roxanne arrives in Cyrus’s village, fleeing the barbaric Zeds. She claims to be on a mission that can save them all, but can she be trusted? Cyrus joins her in her quest for the legendary Soterion, but the Zeds are determined to get there first. 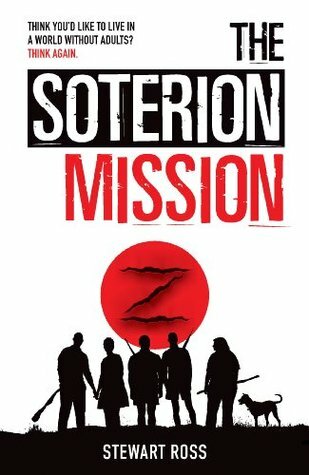 The mission is to find the Soterion, which is the last library left in the world, and to teach people to read again as the skill has been lost. As soon as I started reading this book, I was intensely addicted to the story. I struggled to put the book down, found it difficult to get on with day to day tasks without my mind wandering back to the book in some way. Fortunately I was able to spend the time my brain needed to speed my way through the book and I’m so glad I did. The book is intense, interesting and ultimately a little heart-breaking as well. It was emotional in ways I truly didn’t expect. The plot was interesting, unique and fascinating. I loved the dystopian world it is set in and I could really imagine what was happening. After finishing the first book, it is impossible not to continue on to the next two books in the series. And as a quick spoiler – the ending of the third book makes everything worth it! By far, my favourite character was Roxanne. She was so strong but also weak. She was smart and driven but she also cared, and was essentially truly loyal. She took things hard but kept things light. She was just such a wonderful character that really brought the group together and made this a very intriguing read. I would love to spend more time with Roxanne and to learn more about her past and how she came to be where she was at the start of the book. Absolutely. If you’re looking for a book that is different but still addictive with a very imaginative world, then you should definitely make sure that you read not just this book, but the entire trilogy. 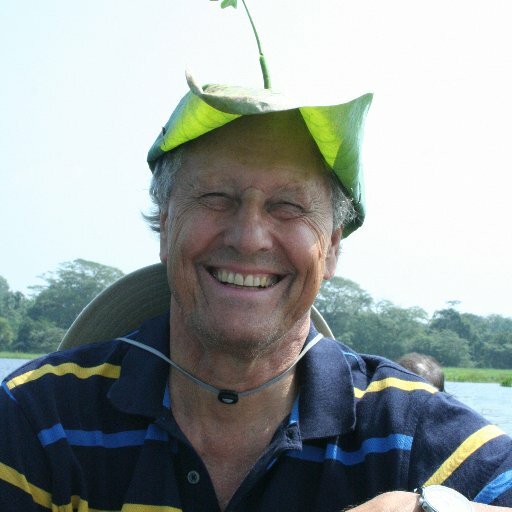 Stewart Ross has done a fantastic job of creating a book with a wonderful diverse cast of characters that you get connected to, as well as building a world that you can truly imagine. This whole trilogy is one that will really make you think and it is just truly fascinating. I would highly recommend it. Verdict: An addictive, thought-provoking, emotional and action-packed read that is a truly unique dystopian read. After a bit of a hiatus I have been trying be become a bit more active in the blogging community. One of the things that I have always enjoyed is taking part in read-a-thons, we have even co-hosted one (#FinishItFeb) here on Big Book Little Book. Read-a-thons are a great way of tackling the TBR from a new perspective, hi-lighting those books you were keen to read and purchased, but somehow got buried under the next shiny thing. They are a fantastic way of interacting with other members of the book blogging community and readers who wouldn’t ordinarily share their reads as everyone who signs up reads books from a particular genre or around a particular theme. It helps to spotlight the theme/genre and produces many wonderful recommendations. My TBR might shrink following a read-a-thon, but my wish list inevitable ends up longer! This week I will be taking part in the #LGBTQIARead read-a-thon. Co- hosted by our very own Faye, on her personal lifestyle and book blog (here), and blogger extraordinaire George Lester (visit George’s blog here) the read-a-thon encourages people to read and share books with LGBTQIA (Lesbian, Gay, Bisexual, Transexual, Queer, Intersex and Asexual) characters/themes. As this is only a week long challenge, and I acknowledge that my reading powers are not what they were, I am aiming to read two books. As I like to read by mood I have collected together a selection of LGBTQIA books from my TBR pile from which to pick from. I haven’t even decided which book to start with! I may add to this list as I receive recommendations and once I’ve had a proper look through my shelves and kindle. Please feel free to tell me which of the books you think I should read and pass on your recommendations in the comments below. I have to admit rather predictably that it was the title that first grabbed my attention; among the residents of my monstrous inbox (if only it was due to popularity rather than inept email management) it certainly stood out. The synopsis seemed right up my street, courtly intrigue, fantasy, magic, an epic journey- so far so Caroline. …then KABOOMB (literal explosions) sh*T gets real, and from that moment the book flips from a predictable band of teenagers hiking across the country to thwart a dastardly plot, to something more. Sure, there is a collection of young adults with powers and ability’s beyond their years, there’s hiking across the country and there’s even evil to foil. But this book was so much more than I anticipated; it had more energy, more action, more gruesome ends and more pulse raising horrors- from the shuddering inducing cave dwellers to the horrific aftermath of war. From the moment the group made their clandestine trip to the cove I was so caught up in the non-stop action and griped by the adventure, that I risked developing a DVT from immobility. Thankfully aside from a numb bum and a mild case of sleep depravation I am no worse from reading the novel in a single sitting. My favorite aspect was the main character, Tilla. While I don’t claim to know many royal bastards to form a truly informed opinion, Tilla felt authentic and she was easy to relate to. Tilla, is no chosen one, she doesn’t suddenly discover immense magical powers, her badassary is developed through weeks of training and she questions why she has even gotten involved with events. I liked that she didn’t blindly follow some pre ordained destiny, allow herself to be used as a political pawn or take up a moral crusade without questioning why on earth she had gotten involved in the first place. In fact she strongly considers taking the easy option and getting out of dodge. Her reasons for staying the course felt relatable and believable. Probably our protagonist Tilla, although I enjoyed getting to know all of the characters and I look forward to getting to know them further as the trilogy progresses. Today is release day for this fantastic book and we’re here to celebrate it! This book is the third and final book in the Soterion Mission trilogy and it is a brilliant conclusion to this series. You will not want to miss it! Pop back on the blog on Monday 26th June for Faye’s review of the book! When Chase Armstrong (please don’t call her Charlotte) is sent to visit her Grandmother at a remote tropical resort, she is looking forward to sunbathing, swimming and snorkeling. The last thing she expects is danger. But when modern day pirates attack the island and take the guests hostage, it’s up to Chase to try and save her grandmother and herself, before it’s too late! My first thoughts about the book where “I am not going to like this book”, but the minute I turned the page I had no words, it felt as if I was actually inside the story. This, I think, is one of my many favourite books. I actually have two favourite characters in this book because they both have very different personalities. My two favourite characters are Chase (Charlotte) and Mackenzie, Chase is very brave and determined to save the day from modern-day pirates, but Mackenzie just wants to leave it to the adults and not interfere, as she doesn’t want to risk their lives. Chase, luckily, has ways of making Mackenzie risk it all, and, of course, her ways always work. I would recommend this book to older readers which don’t get scared easily because this book is quite scary. Verdict: A scary and mysterious adventure that makes you live the adventure as if you were part of the story. As soon as I started reading this book, I was hooked. You can see what I mean by reading this extract here. It is addictive, spooky and thrilling all at once. 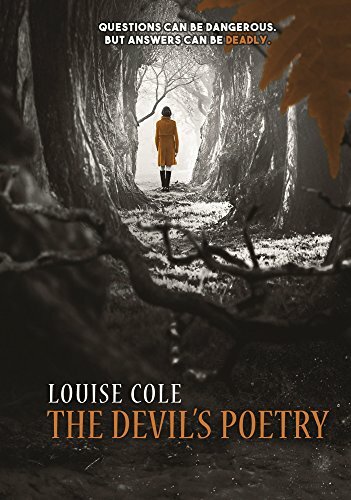 I was instantly transported into the world of The Devil’s Poetry and just found it very difficult to put the book down. What is more is that as the book continued, what I really loved was the message of how powerful books can be. I have always seen books as an escape from reality but I have also always known how important they are and this book just really captures this so well. I absolutely loved Callie. She has such a strong and vibrant personality and goes through a lot in the book. She’s the kind of protagonist that I truly love reading about as they make me feel so much better about life in general. Callie is struggling with the world around her as it collapses and yet she’s still heading forward and not letting life drag her down which is truly inspiring. She definitely made this book for me. Without a doubt in my mind. I would recommend this to any who loves books. Especially if you love books that are fast-paced, eerie and hard-hitting. This is a YA thriller that will get your heart pumping as you keep turning page after page. It’s got some fantasy elements which really bring this book to another level and I still cannot get over how wonderful it is that this book shows how poweful and important books and reading can be. An action-packed thriller that will keep you hooked from the very first page until the very last. The extraordinary story of a little girl raised in a circus who is about to embark on a boarding school adventure. Featuring an ancient Egyptian curse, two best friends (one who wants to be taller and one who knows everything), secretive teachers, dangerous accidents, a mystery to be solved and a menagerie of circus characters. My first thoughts of the book were WOW!!! I thought, I have never read a book by Laura Wood, and I am really enjoying it! I think she is going to be my third favourite author -after Jacqueline Wilson and Enid Blyton- because I really enjoy adventures and books about boys and girls in boarding schools; I especially like books about stories in the olden days. Well, my favourite character is Poppy Pym, because she is ready to try something new even if it means she has to start a new and very different life. I especially like her because she is brave, funny and ready to seek out for adventures around every corner, especially if a mysterious curse is coming her way. Poppy always takes matters into her own hands (with a little bit of help from her friends) even if the police are investigating too. I would recommend this book to children from age 8, especially if you enjoy adventure and/or mystery books- and don’t mind a bit of murder mystery (especially fire, there is always a fire coincidence in the Poppy Pym series). Summarise the book in one sentence. A mysterious book that bring you into the story from cover to cover- especially me! 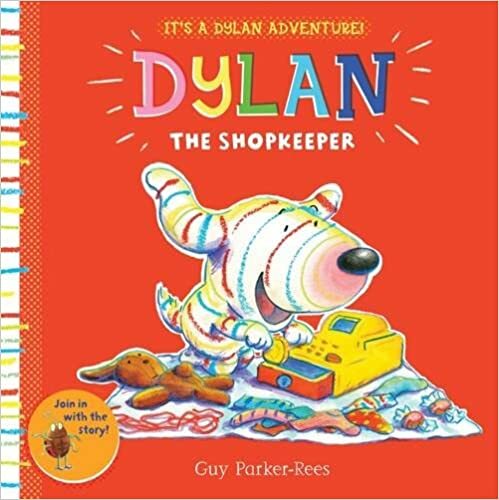 DYLAN THE SHOPKEEPER is the second picture book in a series featuring an exuberant stripy dog, who just loves to play. Created by bestselling illustrator Guy Parker-Rees, Dylan is a joyous new character who uses playing and fun to help toddlers explore and understand their world. Today Dylan is playing at being a shopkeeper. It’s all great fun, until his friends, Jolly Otter and Purple Puss, decide they want to be shopkeepers, too! Dylan’s friend, Dotty Bug, also appears on every page, encouraging readers to join in with the story. Last year the world was introduced to Dylan, illustrated by Guy Parker-Rees in his first book, Dylan the Doctor. It was a beautifully wonderful book about a dog and his animal friends enjoying imaginative play as they treated wounds and Dylan became a “doctor” for the day. It was bright, colourful and easy to read. Along with being fun and creative, I absolutely loved that this book invites the reader to join in with the story too, asking them questions on each of the pages. Fortunately, Dylan the Shopkeeper is just as good as the first book in this series. In this book Dylan finds an old till drawer and so he wants to become a shopkeeper and use his till. The book follows his play as he invites his friends to purchase things from his shop. Things don’t go exactly to plan and it’s all dealt with so brilliantly, just as you would imagine young children would actually behave. Thus allowing the reader to truly immerse themselves in the story. On top of that, this book is once again full of bright illustrations and full of creative play. It is fun, entertaining and I am certain that it would keep children interested from start to finish. I absolutely loved the story from start to finish and could definitely re-read it over and over – a very important thing for a children’s book as most likely a child will want to read it again and again! It is full of hope, friendship and imagination. Basically, this is a wonderful picture book that I would definitely recommend and cannot wait to share with my neice!